Welcome Doctor. Patients are dying... S.O.R.S is a narrative-driven sci-fi doctor simulator game where you must help diagnose patients, using techniques based on real science. We have some fantastic new UI for the game! 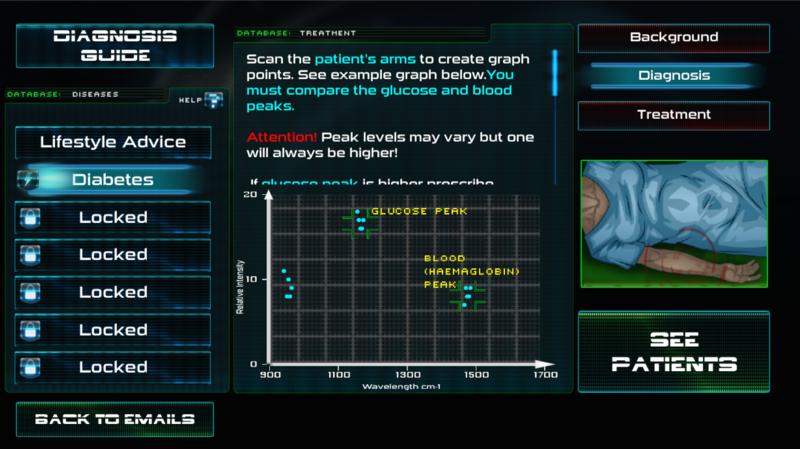 Here's the new diagnosis guide screen, which tells players how to diagnose patients.